This photo was taken at Basantapur. 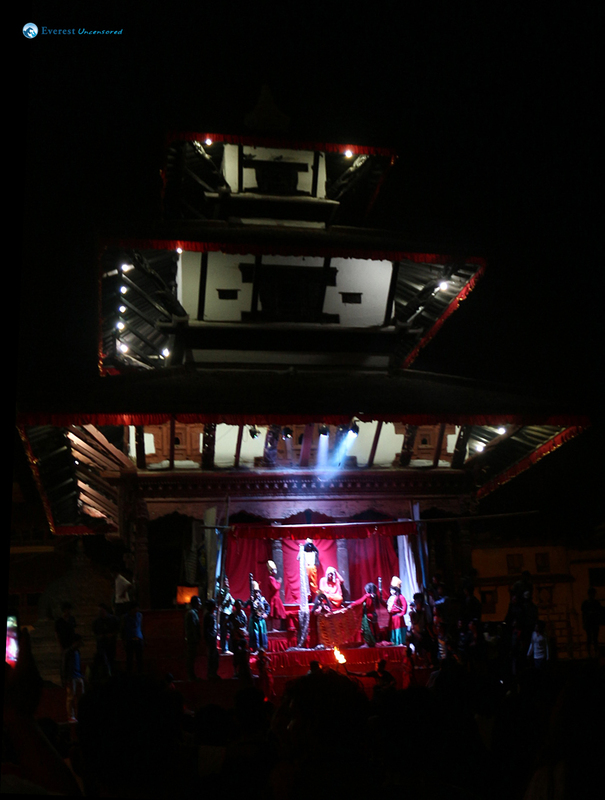 The picture captures a moment of the traditional drama that goes on during the week of Indra Jatra. 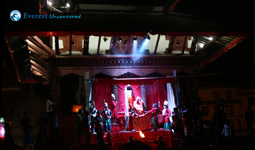 The drama was about the ten Incarnations of Indra (Dash Avatar) and displays of images of the deity in captivity, after his flag was unfurled on top of the impressive 36 feet tall pole. The festival also consists of masked dances of deities and demons and displays of sacred images in honor of the deity Indra.